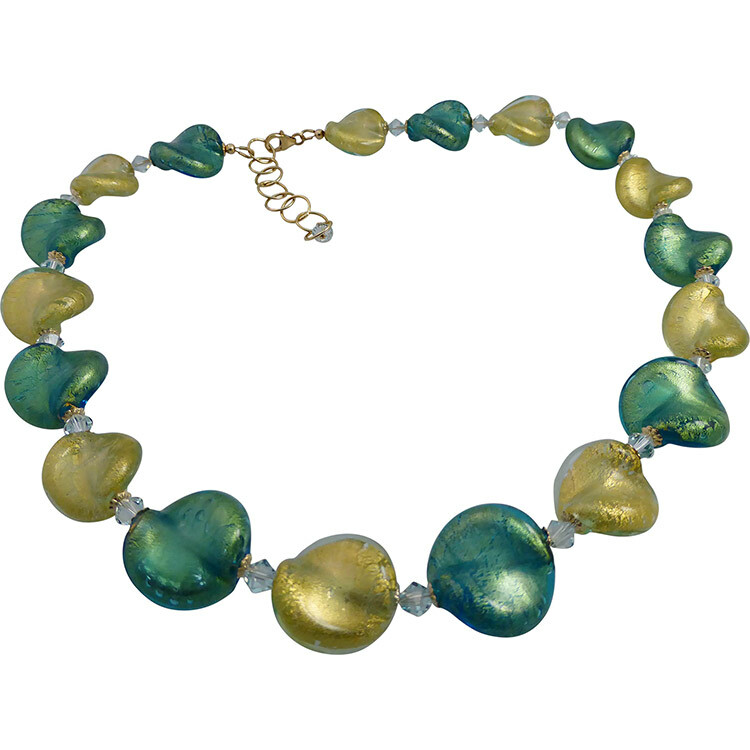 This Aqua and Pale Aqua Necklace shows off the beauty of authentic Murano Glass. Length: 18 Inches (51cm) with a 2 1/2 Inch Extension (6cm). The Aqua and Pale Aque encase 24kt Gold Foil for complementary colors. 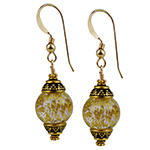 The twist is a popular bead shape and it lays well against the neck. If you need a different length, please contact us as we can adjust for you.